The Online Ticketing Solution has a flexible, customizable and extremely easy-to-use interface. It enables you to automatically manage inventory, sell ticket online, accept payment in real time, maintain customer information in a single database, generate reports easily and conduct CRM exercises. You can also create and sell ticket with different levels of admission prices for a single event. More and more people are choosing to purchase their tickets via the Internet. Our comprehensive Internet ticketing solution can insure your tickets are available when and where your customers want to purchase them. To learn more about our Internet ticketing solutions click here. Collect payments for tickets immediately from attendees through in-built payment gateway. You can accept payments from attendees from all walks of life with its wide variety of payment options. You can expect more options in the near future. Our online ticketing system allows you to solicit donations and memberships online. Our flexible membership and donation process allows you to define multiple levels with descriptions of each as well as provide a free-form amount field if you'd like your members or donors to submit any amount they choose. Online Ticketing solution automates many of your mundane, time-consuming everyday tasks like report generation, ticket counting and sales. Thereby, reducing your workload and freeing up more time for other activities. Online Ticketing solution comes with a cost-effective 'Print' option that enables attendee print their tickets immediately instead of waiting for a courier. This 'Print' feature increase attendee satisfaction and reduces your logistic costs - paper, stamps, courier etc. Our ticketing system includes customizable "survey" forms that can be used to collect addtional customer information as you see fit. This can include simple "How did you hear about us" to demographic and purchase habit information. Online Ticketing solution is flexible and customizable in nature. Using the wide range of online customization tools, you can customize your ticket booking pages to look and feel like your website. 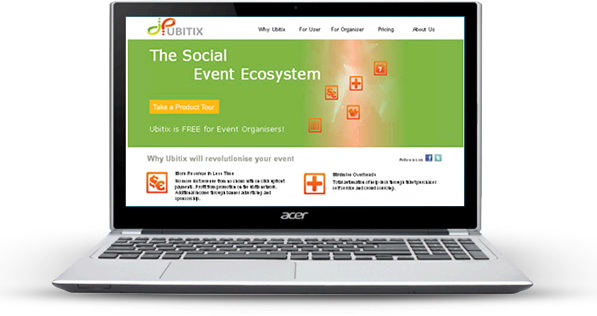 Online Ticketing solution automatically stores your attendee's information in a database. This will help you provide returning attendees with value additions like pre-populated forms, which will simplify the booking process. It will also enable you to conduct CRM exercises that will help stay in touch with your attendees, find out what events they will be interested in and improve your relationship.